Parliament is vetting new voting rules ahead of next year’s ballot. The system may encourage a coalition of left and right parties, and hurt the radical 5-Star Movement. Yet ideological strife is likely to weaken any future government, and the chance of meaningful reforms. 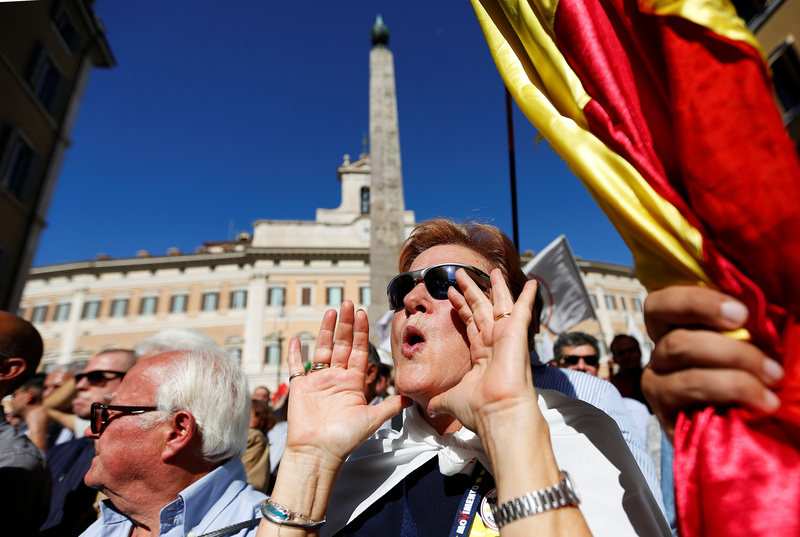 Italy’s lower house is due to hold its final vote on a reform to the country’s electoral law on Oct. 12. The government has called for a confidence vote on the law, which will also need to be approved by the country’s Senate. Under the draft law, 64 percent of seats would be allocated on a proportional basis. The remaining 36 percent would be decided through a first-past-the-post system. The law allows the creation of pre-electoral coalitions. Parties may decide to team up to win the seats allocated via majority voting. This factor is seen hurting the anti-establishment 5-Star Movement, which is head-to-head with the governing Democratic Party in opinion polls but has so far refused to form any alliance with other parties. The 5-Star Movement estimates that the new rules could cost it up to 50 seats in the Chamber of Deputies and potentially scupper its chances of being the largest group in parliament after the vote, according to Reuters. Italy’s next parliamentary election will take place in early 2018.